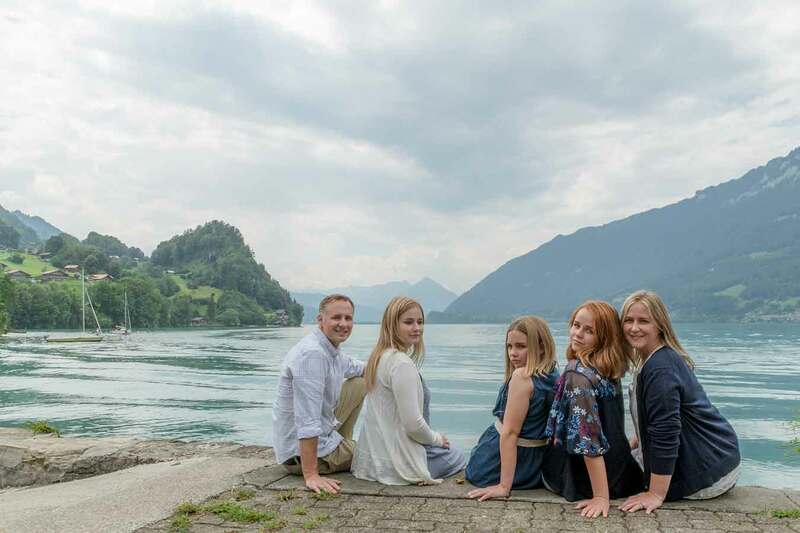 Family photo shoot in the Interlaken area that included some sightseeing! I met Larry and his family outside the Funky Chocolate Club in Interlaken, Switzerland. They had had a very entertaining workshop inside making their own Swiss chocolate. 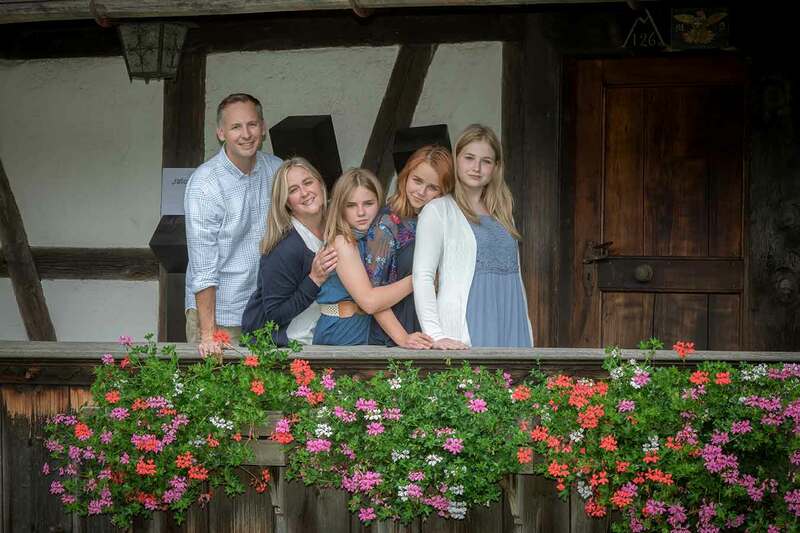 Our next stop was a 10 – 15 minute car drive from Ringgenberg. It was Iseltwald, a picturesque village on the other side of Lake Brienz. We could have taken this paddle steamer. 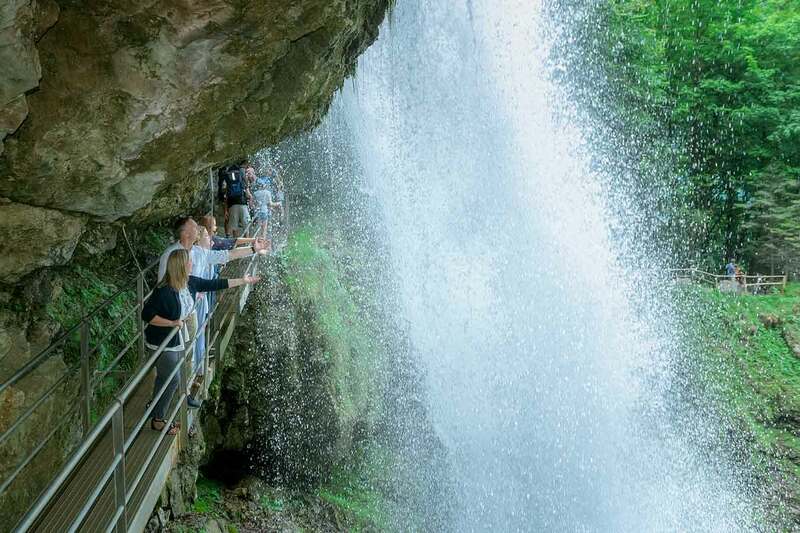 Our final location was at the magnificent waterfall in Giessbach. The family had the opportunity to walk behind the waterfall. 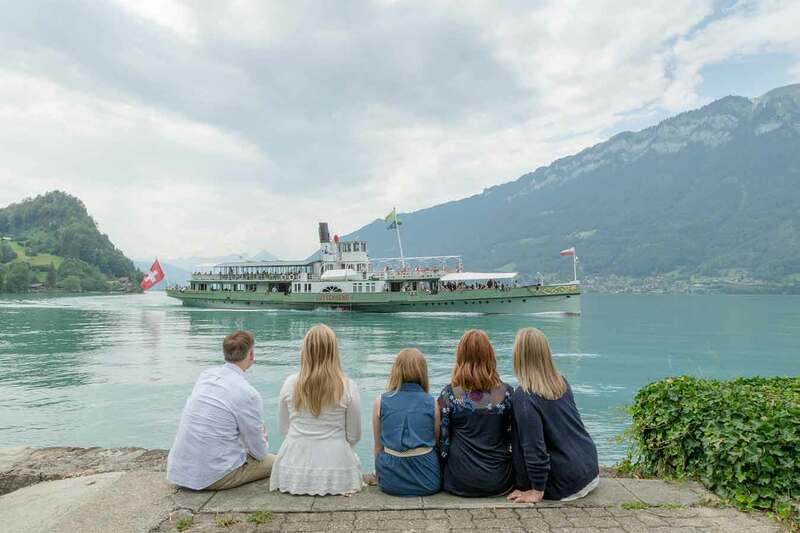 Family photo shoot in Iseltwald as the paddle steamer zooms past us.